Mortgage Protection Insurance: Protect your Investments in your Home. Buying a home is probably one of the biggest investments you will ever make. Since life is unpredictable, protecting your home is important. When you are approved for a mortgage, your lender will offer to sell you mortgage protection insurance. Generally, this is a group insurance policy owned by the lender. Before you say “yes” to mortgage protection insurance from the bank, you should know that you have other options. Mortgage protection with an individually owned insurance plan from an insurance company is a great alternative to the typical mortgage insurance offered by other financial institutions. It provides better guarantees, greater choice and more flexibility. You can create your own Home Protection Plan, which may include life insurance, critical illness и disability debt insurance. If you want to get only life insurance, an individual Mortgage Protection Life Insurance, which you can choose from different insurance companies, will provide you better coverage, more flexibility and often for less price. What would you like better? Your designated beneficiary controls the insurance proceeds. Upon death, the benefit goes directly to your beneficiaries, and they decide how to best use the money. The Lender controls the insurance proceeds. Upon death, the benefit goes directly to your Lender to pay off the mortgage. Policy is fully portable whether you move or change mortgage carrier. Premiums may be increased if you change lenders, move homes or increase your loan. Insurance coverage does not decrease and may continue after the mortgage is retired. Insurance coverage decreases and stops when the mortgage is paid off. 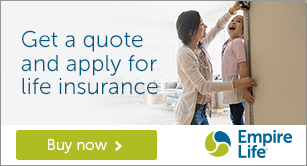 Maximum flexibility with policy options: increase and decrease coverage, add and delete coverages or lives, convert all or part of coverage to permanent insurance. Minimum flexibility without special policy options. Insurance premiums are based on your age and health. You may be qualified for preferred rates and to pay less than others. Since mortgage insurance is usually provided through a group plan, you pay the same rate for your coverage as everyone else. Lenders' mortgage insurance premiums are higher than you think.